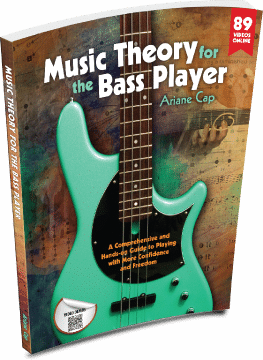 This is Video 4 of my mini series about the Cycle of Fifths for the Bass Player. Great for practicing walking bass, soloing, having fun. Here we are going jazzy with the cycle. Check out this Jazz standard and have a go jamming to the back ground track. This tune is the entire diatonic cycle in minor. Let me know how it is going for you. Comment below! Good shedding with Diatonic Cycle in minor! Email me a video link of you jamming to these tracks – I’d love to hear what you are doing with this material.